Marco Adelfio, Aktion Arkiv (Sara Brolund de Carvalho, Helena Mattsson, Meike Schalk), Lenastina Andersson, Thordis Arrhenius, Anders Bergström, Ana Betancour, Monica Billger, Nils Björling, Bojan Boric, Brady Burroughs, Ragnhild Claesson, Fran Cottell, Ulf Cronquist, Halina Dunin-Woyseth, Catharina Dyrssen, Victor Edman, Hanna Erixon Aalto, Hélène Frichot, Kristina Fridh, Jonah Fritzell, Hannes Frykholm, Catharina Gabrielsson, Jonathan Geib, Marcelyn Gow, Katja Grillner, Sten Gromark, Johanna Gullberg, Maria Hellström Reimer, Lars Hesselgren, Katja Hogenboom, Lena Hopsch, Ebba Högström, Nel Janssens, Jaan-Henrik Kain, Sepideh Karami, Ulrika Karlsson, Sandra Kopljar, Thérèse Kristiansson, Mattias Kärrholm, Ann Legeby, Hye Kyung Lim, Cecilia Lundbäck, Marja Lundgren, Jennifer Mack, Christian Madsen, Jesper Magnusson, Lars Marcus, Helena Mattsson, Ramia Mazé, Jennifer McConville, William Mohline, Marianne Mueller, MYCKET (Mariana Alves Silva, Katarina Bonnevier, Thérèse Kristiansson), Emma Nilsson, Fredrik Nilsson, Norell/ Rodhe (Daniel Norell, Einar Rodhe), Anna Maria Orru, Janek Ozmin, Katrin Paadam, Christina Pech, Anna Petersson, Paulina Prieto de la Fuente, Einar Rodhe, Helen Runting, Gunnar Sandin, Ida Sandström, Meike Schalk, Annie Locke Scherer, Secretary (Karin Matz, Helen Runting, Rutger Sjögrim), Atli Magnus Seelow, Erik Sigge, Vasily Sitnikov, Veronica Skeppe, Anne Solberg, Jüri Soolep, Beata Stahre Wästberg, Jenny Stenberg, Apolonija Sustersic, Oliver Tessmann, Liane Thuvander, Roemer van Toorn, Fredrik Torisson, Helena Westerlind, Malgorzata A. Zboinska, Leonardo Zuccaro Marchi, and Maria Ärlemo. Please don't forget to credit our photographer Matti Östling / ArkDes when you plan to use them. 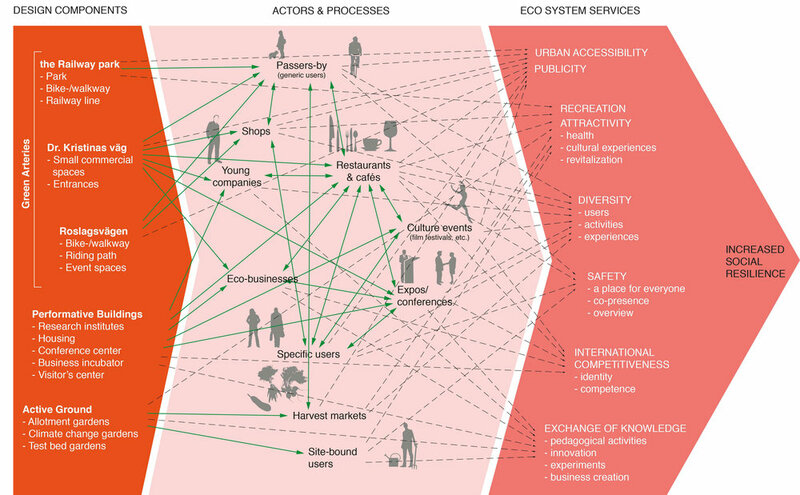 Abstract: Erixon Aaltos research project “Projecting Urban Natures” explores reconceptualizations of the human-nature relationship through the lens of emerging non-equilibrium concepts provided by ecological science and “ecological thinking” (e.g. resilience theory, landscape- and ecological urbanism and social-ecological urbanism) in combination with case-based explorations that emphasize the relational, anti-essentialist and situated articulation of values of urban natures. The study combines a design-based and transdisciplinary research approach and has been propelled though participation in hands-on design-and planning projects, through transdisciplinary workshops, comparative case studies and through in-depth interviews with key actors. 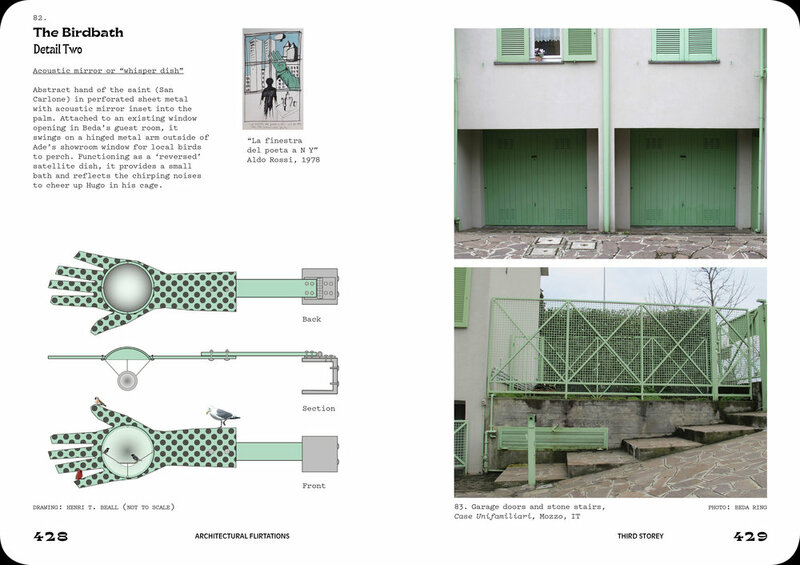 Projects performed within the thesis include a collaboration with the team of NOD, Wingårdhs and MUST with the proposal “Kymlinge Urban Natur”; collaborations with the department of system ecology at Stockholm University and Stockholm Resilience Centre through the projects “Design experiments” and “Albano Resilient Campus” and through participation in the proposal “Årsta Urban Natures” with James Corner, Field Operations. Abstract: This project explores the relationship between education, research, and practice in architecture culture, focusing especially on the role of education in socializing the professional architect. The project attempts to build an instrumental understanding of this relationship, elaborated on from the historical, pedagogical, and epistemological perspectives. Furthermore, it holds that the relationship between education, research, and practice should be treated as a system. The results mostly concern the relationship between education and practice, but the epistemological turn since the 1960s indicates that research may be treated within the same discourse. Architecture as a discipline seems to have developed from an ideally knowledge-based practice towards a practice-based knowledge, changing the balance between different kinds of pedagogy in architectural education. The current emphasis on digital technology together with environmental and social concerns implies that education needs to be reconsidered in order to address urgent issues in society. Projektet undersöker sambandet mellan utbildning, forskning och praktik inom arkitektkulturen, med särskild tonvikt på utbildningens betydelse för arkitektyrkets socialisering. Syftet är att nå en operativ förståelse för detta samband, genom såväl historiska och pedagogiska som kunskapsteoretiska perspektiv. Utgångspunkten är att utbildning, forskning och praktik bör betraktas och studeras som ett sammanhängande system. Resultaten kan i huvudsak knytas till relationen mellan utbildning och praktik, men det kunskapsteoretiska skifte som påbörjades på 1960-talet antyder att även forskning kan studeras på motsvarande sätt. Arkitektur som disciplin tycks ha utvecklats från att i idealtillståndet betraktas som en kunskapsbaserad praktik till att i stället uppfattas som en praktikbaserad kunskap, vilket påverkar balansen mellan olika pedagogiska inslag i arkitektutbildningen. Dagens utveckling mot digital teknik i kombination med allt större hänsyn till hållbarhet och sociala aspekter, pekar på att utbildningen behöver reformeras för att kunna motsvara viktiga framtidsfrågor inom samhällsbyggandet. 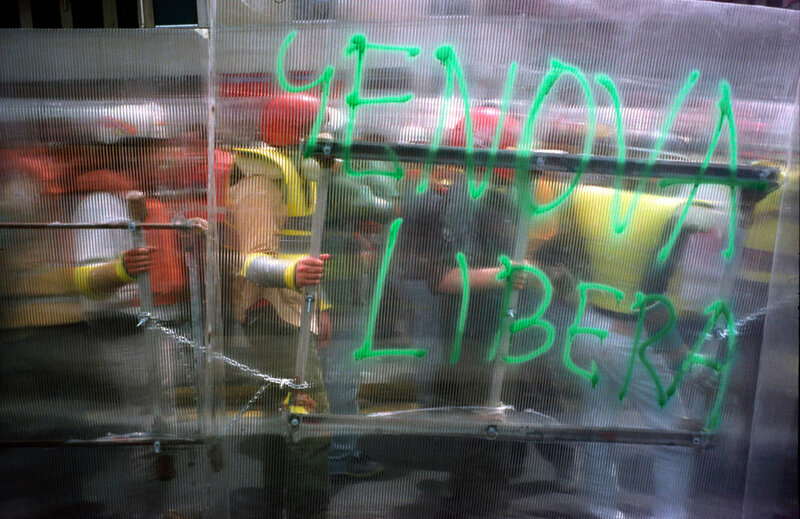 A city of contestation, diversity, civil disobedience and reclaiming of the public sphere. Abstract: Western cities are increasingly adopting strategies of branding, promotion and privatisation of public spaces. 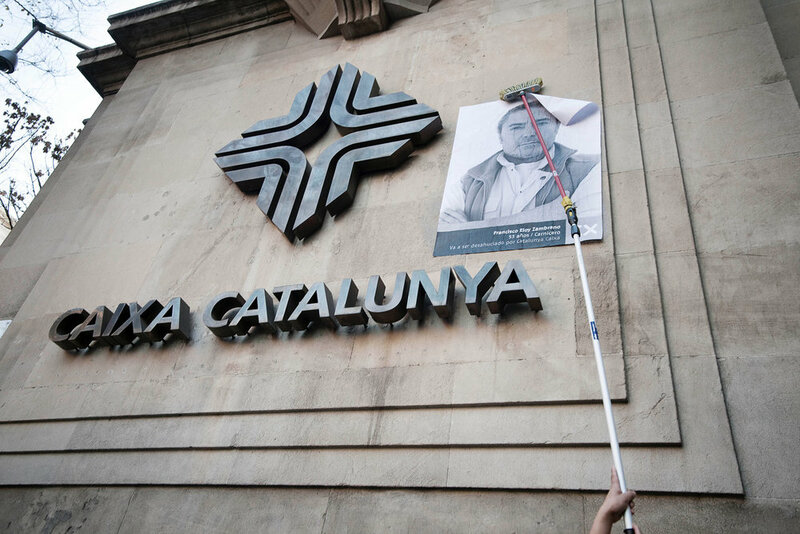 The construction of a staged official identity, and the choreographing of this urban image has an extensive physical impact that is affecting, displacing and dislocating local identities -such as can be seen clearly in the case of the city of Barcelona. The research explores practices at the intersections between public art and new social movements and which are being developed as critical responses to the processes of homogenisation, gentrification and corporatisation. 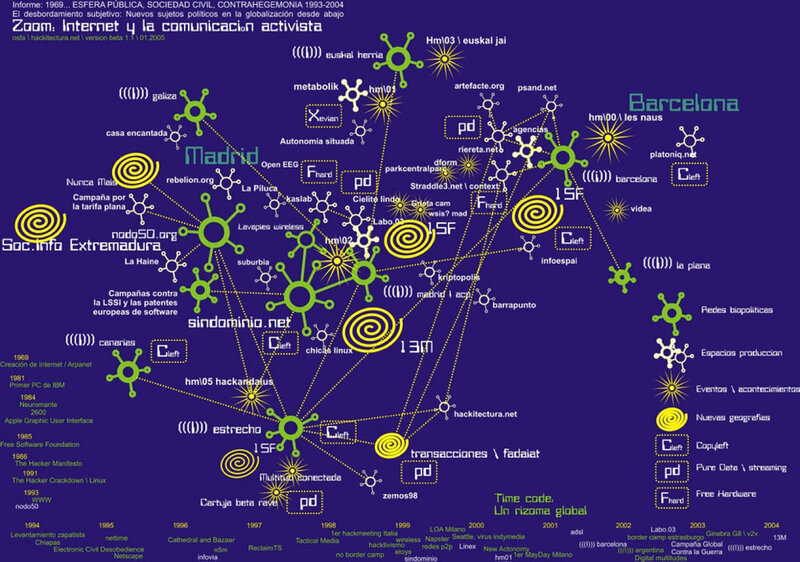 A closer examination of these modes of action and ways of working developed by certain collaborative art projects, social movement networks and direct actions in Barcelona will not only trace a shift in the role of artistic work in the city but might also offer some answers to what tools and tactics could be introduced to counter the deleterious effects of recent urban developments. Städer i västvärlden använder sig idag i allt större utsträckning av strategier för branding, marknadsföring och privatisering av offentliga rum. Dessa officiella konstruerade, iscensatta identiteter och koreograferingen av stadsbilden, har en omfattande undanträngande fysisk och social inverkan på lokal kultur och identitet, vilket tydligt framgår av exemplet Barcelona. Forskningsprojektet utforskar praktiker, i gränslandet mellan offentlig konst och nya sociala rörelser, som utvecklats som kritiska svar på gentrifierings- och privatiseringsprocesserna i dagens stadsutveckling. En närmare granskning av dessa metoder, som utvecklats i kollaborativa konstprojekt, sociala nätverk och direkta aktioner i Barcelona, visar på ett skifte i rollen som konstnärliga praktiker har i staden. De kan även erbjuda svar på vilka verktyg och taktiker som skulle kunna användas för att motverka de förödande effekterna av den samtida stadsutvecklingen. Abstract: In 1947, Soviet architect Alexey Shchusev developed a large-scale urban renewal project for post-war Chisinau, then the capital of the Moldovan SSR. Part of the master plan was the construction of Boulevard D. Cantemir, to cut through the city’s historic fabric. Only two fragments of this boulevard were built before the project was abandoned. In the early 1990s, during a radical institutional political and economic shift towards a market economy, initiatives to build the boulevard re-emerged in form of redlining, zoning documents, and planning regulations. The lack of political consensus about the boulevard has paralysed planning in the city, creating a legal void where various actors are competing to appropriate spaces. The power of redlining has instigated various materializations of the boulevard. The real battle is occurring in the sphere of the social imaginary, where memory management has become a main planning tool. Through exploring the trajectory of the ghost boulevard, I expose conflicting political and economic agendas and the multiple forces constituting the complex processes of planning today. 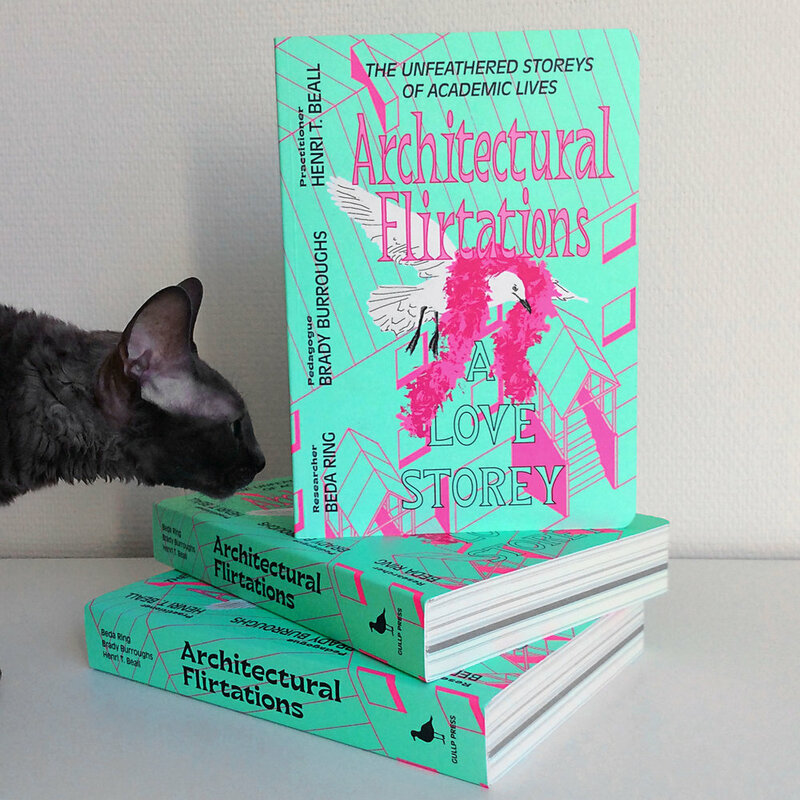 Abstract: Architectural Flirtations: A Love Storey begins with our claim that the architectural discipline is centered around a culture of critique, and that the values instilled by this culture not only begin with, but are reinforced and reproduced by the education of young architects. The project aims to displace this culture, by questioning and undermining relationships of power and privilege through practices that are explicitly critical, queer feminist, and Campy. In other words, it takes seriously what is usually deemed unserious within the architectural discipline, in order to undermine the usual order of things. 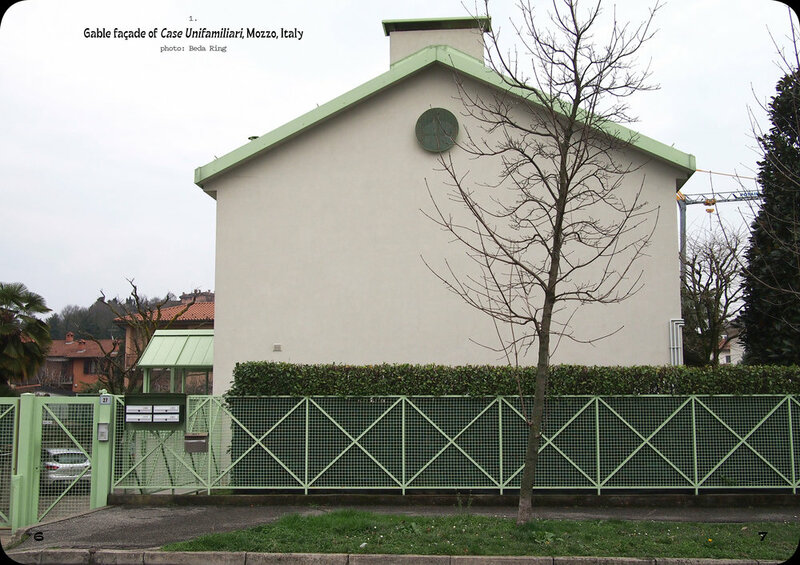 All of the (Love) storeys take place on March 21st, the spring equinox, in and around a 1977 row house project called Case Unifamiliari in Mozzo, Italy, designed by Aldo Rossi and Attilio Pizzigoni. Beda Ring, PhD researcher, constructs a Campy renovation of one of these row houses, full of theatricality, humor, and significant otherness; while architectural pedagogue, Brady Burroughs, guides a student group from KTH in an Architecture and Gender course; and Henri T. Beall, practicing architect, attends to the details upstairs. Architectural Flirtations: A Love Storey utgår från vårt påstående att den arkitektoniska disciplinen är centrerad kring en kritikkultur som börjar med utbildningen av unga arkitekter, där kritikkulturens värderingar förstärks och reproduceras. Projektet syftar till att förskjuta arkitekturens kritikkultur med hjälp av explicit kritiska, queerfeministiska och camp metoder som ifrågasätter och underminerar maktrelationer och privilegier. Det som vanligtvis anses som oseriöst inom den arkitektoniska disciplinen tas här på allvar i syfte att undergräva den vanliga ordningen. Alla (kärleks)berättelser äger rum på vårdagjämningen den 21 mars, i och runt Aldo Rossis och Attilio Pizzigonis radhusprojekt Case Unifamiliari (1977), Mozzo, Italien. Beda Ring gör en camp, teatral och humoristisk renovering av ett av radhusen, full av ‘significant otherness’; medan arkitekturpedagogen Brady Burroughs leder en studentgrupp från KTH i en Arkitektur- och genuskurs; och Henri T. Beall, praktiserande arkitekt, arbetar med detaljer på övervåningen. Abstract: This design research project explores relationships between tectonics, figure, and materiality in architecture and its representations. Countering the interest in technological precision and efficiency, this project playfully uses technology and rough material experimentation. Through investigating notions of the ‘weak’ and unstable in architecture, the project embraces unexpected aesthetic qualities in discussing three main architectural aspects: character, materiality, and tectonics. Alternative aesthetic categories are used by Sianne Ngai in considering ‘marginal’ or ‘trivial’ but culturally ubiquitous aesthetic categories.1 This project suggests that certain comic qualities, especially those we refer to as ‘clownish’, arise from instability of character. Could the clownish function as an aesthetic category, facilitating interplay between the funny, silly, and unreliable? Detta konstnärliga forskningsprojekt undersöker förhållanden mellan tektonik, figur och material inom arkitektur och dess representationer. Till skillnad från det gängse intresset för teknologisk precision och effektivitet kombinerar projektet en lekfull användning av teknologi med grov materialbearbetning. Genom att utforska egenskaper av det “svaga” och instabila hos form och gestalt söker projektet efter oväntade estetiska kvalitéer, vilka används för att diskutera tre arkitektoniska aspekter: karaktär, materialitet och tektonik. Idén om alternativa estetiska kategorier har nyligen använts av Sianne Ngai. Hon har fokuserat på vad hon kallar marginaliserade eller triviala men vanligen förekommande estetiska kategorier1. Detta projekt föreslår att vissa komiska kvalitéer, särskilt det vi kallar det “clowniska”, skapas av en karaktärs instabilitet. Kan det ”clowniska” fungera som estetisk kategori och erbjuda ett potentiellt samspel mellan det roliga, det löjliga och det opålitliga? Det vi kallar “märklig materialitet” föreslås uppkomma av en instabilitet i läsningen av ett material, där materialet oscillerar mellan sin fysiska materialitet och bilden eller representationen av ett (annat) material. Tektonisk instabilitet utforskas genom simuleringar av fallet där separata delar faller slumpmässigt för att landa och forma en helhet. Projektet består av tre essäer och en serie animationer, ritningar och fysiska modeller. Awkward materiality emerges from instability in the reading of material, which oscillates between physical materiality and the image or representation of another material. 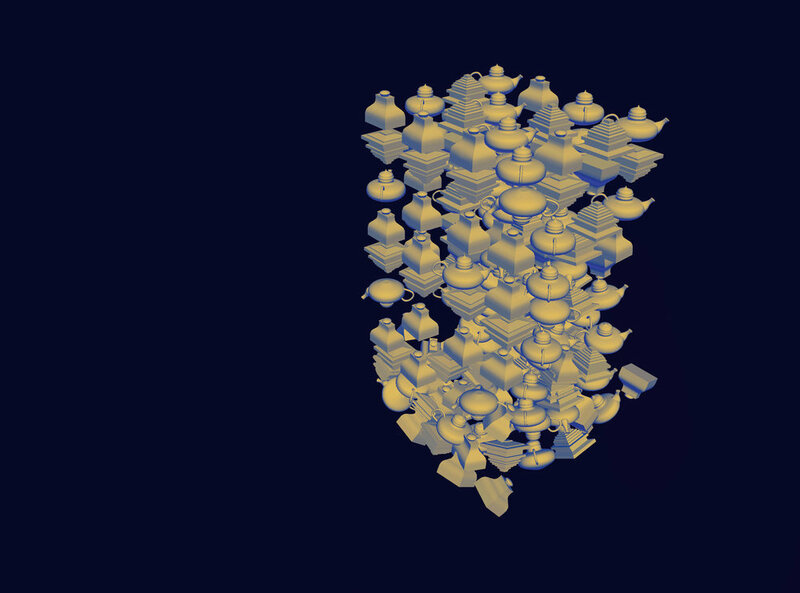 Instability of tectonics is explored through simulated falling, where separate parts fall randomly to form a whole. 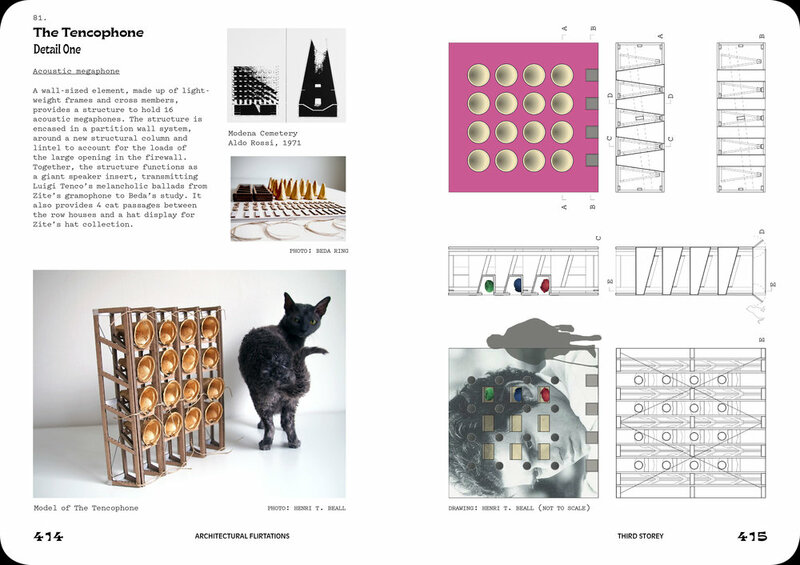 The project comprises three written essays and a series of animations, drawings, and physical models. This project examines the impact of museological displays of domestic environments in Sweden in the twentieth century. It focuses on how the image of the Swedish home was constructed and communicated though various forms of installations during the period. The Swedish cultural history museums, with Nordiska museet as the main player, were keen to present images of domestic environments to the public. The full-scale period rooms in the museums and the relocated houses at the open-air museums illustrated the home life of past generations, and they became extremely popular. Although the exhibited milieus were historical, they were also meant to have an impact on contemporary architecture and interior design. The inquiry highlights the museological and historiographical conditions under which these installations were created. The project seeks a new perspective on how the image of the Swedish home and its development was conceived during the modern period. This project examines the breakthrough of the concept of modern heritage in Sweden, which mainly occurred in the 1990s. In the late 1980s, modern architectural heritage had become an issue on the political agenda worldwide. Several international organizations promoted the idea that modern architecture was part of the architectural heritage and should be treated with the same respect as architecture of previous epochs. The heritage community in Sweden promptly responded to this call, and made efforts to include modern architecture in the national canon. The Swedish heritage discourse contained a distinct social aspect, and modern heritage came to be equated with the period between the 1930s and 1970s, a period strongly associated with the national welfare project. The project seeks a deeper understanding of how modern architecture was historicized in the late twentieth century, and how it was eventually inscribed in the national Swedish heritage. Abstract: Measurement- and indicator driven knowledge cultures increasingly push research and invention towards evaluation systems, dominant cause–effect models, and standardized reproduction. Transvaluation – this theoretical workshop series, PhD course, and international symposium (Gothenburg 2014 - 2015) sought ways to ‘transvalue’ conventional knowledge formations in researching practices of architecture, art, philosophy, and anthropology: to (re-)form material and spiritual logics of investigating/inventing/making/thinking, trans- and revalue cooperative environments, and instigate change in interdisciplinary frames, systemic conventions, and knowledge cultures from within. Two major themes, the poetics and politics of value, related research value to political and systemic aspects, examined through two conceptual lenses: worlding (shaping the world, transforming matter) and U-topos (spaces for speculative thinking-making). Key speakers addressed transvaluation from three perspectives: global social anthropology (Arjun Appadurai), art research and curating (Andrea Phillips), and speculative realism and material objects (Graham Harman). Experimental workshops, small seminars, and collective fora addressed fundamental and strategic approaches across disciplinary boundaries. Mätbarhetsbaserade och indikatordrivna kunskapskulturer driver i ökande takt forskning och uppfinnande att underkasta sig utvärderingssystem, dominerande modeller av orsak-verkan och standardiserad upprepning. Transvaluation – teori-workshops, forskarutbildningskurs och internationellt symposium (Göteborg 2014-2015) – sökte sätt att “transvaluera” konventioner för kunskapande i forskningspraktiker inom arkitektur, konst, filosofi och antropologi: att (om)forma materiell och intellektuell logik för undersökande-uppfinnande-görande-tänkande; att trans- och omvärdera omgivningar i samverkan; och att initiera förändring av interdisciplinära ramverk, systemkonventioner och kunskapskulturer inifrån. Två huvudteman – värdeskapande och värdepolitik – relaterade forskningsvärden till politik- och systemaspekter undersökta genom två begreppslinser: Worlding (skapa världen, transformera materialitet) och U-topos (rum för spekulativt tänkande-görande). Huvudtalarna diskuterade transvaluation från tre centrala perspektiv: global social antropologi (Arjun Appadurai); konstnärlig forskning och kuratoriell praktik (Andrea Phillips); spekulativ realism och materiella objekt (Graham Harman). Experimentella workshops, små seminarier och kollektiva forumdebatter lyfte fram grundläggande och strategiska angreppssätt över ämnesgränser. Abstract: This thesis project investigates the lobby as a site where the city – often perceived as lost or beyond comprehension – can be framed, constructed, and consumed as an experience. The project is a study of an ongoing discursive crisis concerning architecture’s relationship with the city. In this crisis, the lobby forms a staged threshold between the city and interior programmes. It is a space for entering and exiting, for pausing, waiting, and consuming, a space where the leisure of some is the labour of others. The project considers the lobby from three perspectives: the sensorial reconstruction of public space, the design of interstitial time/spaces, and the labour and infrastructure necessary to produce the lobby’s atmosphere. The final part of the project speculates on a possible way out of the lobby, in the form of smooth montage drawings that dissolve the boundary between the staged threshold and its infrastructure. Detta avhandlingsprojekt undersöker lobbyn som en interiör där staden - oftast uppfattad som förlorad eller bortom begriplighet - kan inramas, konstrueras och konsumeras som en upplevelse. Projektet är en fall studie av en pågående diskursiv kris kring arkitekturens relation till staden. Belägen mellan staden och byggnadens program är lobbyn en tröskel som hanterar ett antal aktiviteter och människor. Lobbyn är ett rum för ingångar och utgångar, för pauser, väntande, och konsumtion, ett rum där avkoppling för vissa är arbete för andra. Projektet undersöker lobbyn utifrån tre perspektiv: Den sensoriska rekonstruktionen av ett offentligt rum, gestaltningen av tid och rum i lobbyn, och det arbete och infrastruktur som är nödvändig för lobbyns atmosfär. Den sista delen av projektet undersöker en tänkbar väg ut från lobby genom att konstruera ett antal montage-ritningar där gränsen mellan lobbyns upplevelserum och produktionsrum ifrågasätts. Exhausting the exhausted amidst our contemporary environment-worlds procures not just an exhaustion of our resources and material-semiotic modes of expression, but also an exhaustion of our capacity to create concepts. 1. Söder Pops Island: A Gentri-Fiction contributes to my Architecture in Effect (AiE) proposal Becoming-Scandinavian: Migrating Places. What this project procured, as it turns out, was a wild ride through the curated real-estate interiors of Stockholm and how these interiors unfold as an ‘urban interior’ that impacts on how neighbourhoods become increasingly exclusive, homogenous and inaccessible. What do we call the aftermath of processes of gentrification? Do we need a new terminology and new ‘noourbanographies’ to map such rarefied places? As a response, in collaboration with Helen Runting, and also Jonathan Metzger, I have been collaborating on a series of essays dedicated to what we call critical feminist real-estate theory. 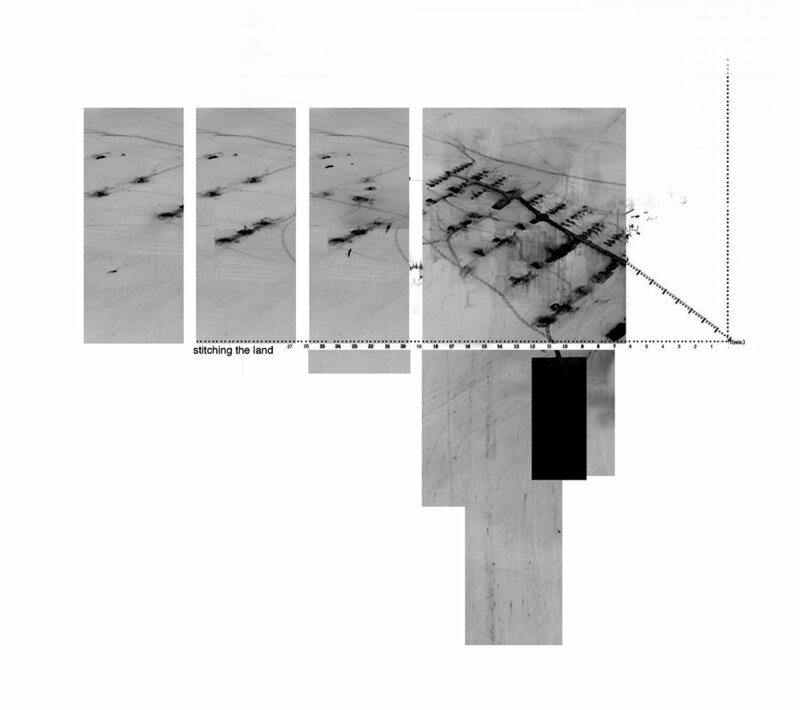 In relation to this project I have also been developing the (ante)methodology of ficto-criticism in architecture as a means of developing approaches to architecture-writing that speculate on the construction and exhaustion of our urban and interior worlds. 2. Environment-worlds, things, and thinkables: Taking its point of departure from my AiE proposal Deleuze, Architecture and After: The Story of the Superfold, this project discusses the uptake of emerging theoretical tendencies such as new materialism, affect theory, the posthumanities, and speculative realism and their impact on practices and discourses of architecture. I am recognised for my work on the philosopher Gilles Deleuze and his influence on thinking architecture and the city, likewise his and Félix Guattari’s legacy in (feminist) new materialism, affect theory, and the posthumanities, which are theoretical tendencies that enable a critical rethinking of environment-worlds and technologies. This project forwards what I call, after Isabelle Stengers, a creative ecology of practices that is relevant to the development of research through design, or creative practice research. This work is currently being developed as a book under contract with Bloomsbury called: Creative Ecologies of Practice: Environment-Worlds, Things, and Thinkables (forthcoming 2018). Abstract: Defining the livelihood of the majority of the world’s population, the question of ‘the city’ has risen to the fore as one the most urgent issues of our time – uniting concerns across the terrain of climate policies, global financing, localised struggles and multi-disciplinary research. This book rests on a conviction that philosophy is crucially important for advancing knowledge on cities, and for allowing us to envisage new forms of urban life toward a more sustainable future. Deleuze and the City brings together some of the most original thinkers and accomplished scholars in contemporary urban studies, showing how Deleuze and Guattari’s philosophical project is essential for our thinking through the multi-scalar, uneven and contested landscapes that constitute ‘the city’ today. Dispelling the old question of what the city is, asking instead what it can do, this compilation of essays provides a nuanced mapping of situations emerging in concrete urban settings across the globe, spanning across the ‘laboratory urbanism’ of an Austrian ski resort and a ‘sustainable’ Swedish shopping mall to the ‘urbicidal’ refurbishments of Haifa. Abstract: This article proceeds from a critique of current architecture and urban planning based primarily on the use of digital tools, a practice that distances the architect from the necessary act of using the body and its senses in doing research and designing cityscapes. We instead propose a method based on Merleau-Ponty’s phenomenology in combination with recent research into cognitive embodiment. Our method is based on the meeting of theory and practice, with reference to the urban flaneur and how a diagram can be sketched by the attentive subject on a city walk, giving a valuable scaled-down overview. Results suggest a new design practice grounded in bodily awareness and perception – digital tools may be well used, but architectural design must begin with the body. Our main claim concerns the necessity of a walking architecture proceeding from research based on sustainability, embodiment, and phenomenological practice. Denna artikel utgår från en kritik av den sorts arkitektur och stadsplanering som idag är primärt baserad på användande av digitala verktyg, en praktik som håller arkitekten långt borta från det nödvändiga att använda kroppen och dess sinnen i forskning och designande av stadslandskap. Vi föreslår i stället en metod som är baserad på Merleau-Pontys fenomenologi i kombination med aktuell forskning vad gäller cognitive embodiment. Vår metod är baserad på mötet mellan teori och praktik, med referens till en urban flaneur; och hur ett diagram kan skissas av ett uppmärksamt subjekt på en stadspromenad som ger en värdefull nedskalad överblick. Resultat pekar mot en ny sorts designpraktik grundad i kroppsligt medvetande och perception – digitala verktyg kan användas väl men arkitekturisk design måste utgå från kroppen. Därför hävdar vi nödvändigheten av en walking architecture, med forskning som är baserad på hållbarhet, embodiment och fenomenologisk praktik. Abstract: How societies, spatial structures, landscapes, and architecture constitute built environments differs in various eras and cultures. Why here? Why this way? These questions contain manifold answers with various meanings. Questions about origins, purposes, and how something is perceived as ordinary prompt deliberations as to why one room, building, location, or town plan is considered better than others. These questions concern what space is being considered and who is defining it. This project looks into what space does. Meanings, materials, and actions are not expressions of underlying structures, but rather multiply in complex and unexpected ways due to their relationships within the system. The example used in this project is the Psykiatrins Hus (House of psychiatry) in Uppsala. This ‘state-of-the-art’ psychiatric clinic is framed as the future, while at the same time being entangled in issues of the past. Byggd miljö, rumsliga strukturer, fysiska landskap och arkitektur förstås och får betydelse på olika sätt, i olika tider och kulturer. Varför just här och just på detta sätt? Frågor som innehåller en mängd svar, och olika betydelser. Frågor om ursprung, syfte och om hur något uppfattas som vanligt och neutralt uppmanar till att undersöka varför ett rum, en byggnad, en lokalisering eller en stadsplan anses bättre än andra. Det handlar alltså om vem eller vilka som definierar rummen, och vilka rum som avses. Detta projekt undersöker vad rum gör. Mening, material och händelser är inte uttryck för underliggande strukturer, utan snarare dubblerar sig på komplexa och oväntade sätt beroende på sina relationer inom systemet. Som exempel har Psykiatrins Hus i Uppsala använts. Denna toppmoderna psykiatriska klinik anses tillhöra framtiden, på samma gång som den är djupt intrasslad i dåtidens frågor. Abstract: The local neighbourhood center – or the local square – may be seen as a public space for our everyday life experiences: a place where various urban resources and opportunities become available; it is an important arena for social processes. This project explores to what extent these local neighbourhood centres function as arenas or meeting places today and what affordances can be associated in terms of social opportunities. Research has found close relations between how places are used and urban form, and that urban configurations have an impact on the social logic. By studying patterns of co-presence the rythms, intensities and routines in these places can be decoded. Lokala stadsdelscentrum och torg kan ses som betydelsefulla offentliga platser för det vardagliga livet; en plats där olika urbana resurser och möjligheter blir tillgängliga. Därtill är det en viktig arena för olika sociala processer av vikt för integration, social sammanhållning och inte minst demokratifrågor. Forskningen har funnit tydliga samband mellan hur platser används och urban form, hur stadsrummet är strukturerat och organiserat, att detta påverkar den sociala logiken. Det här projektet utforskar i vilken utsträckning det lokala centrumet fungerar som arena eller mötesplats och vilka möjligheter som erbjuds lokalt. Genom att studera stadslivet och vardagliga praktiker i det offentliga rummet; rytmer, intensiteter och rutiner, så kan dessa platsers karaktäristika avkodas. Abstract: Nature is not something removed from the city, it is not a secondary point of access. 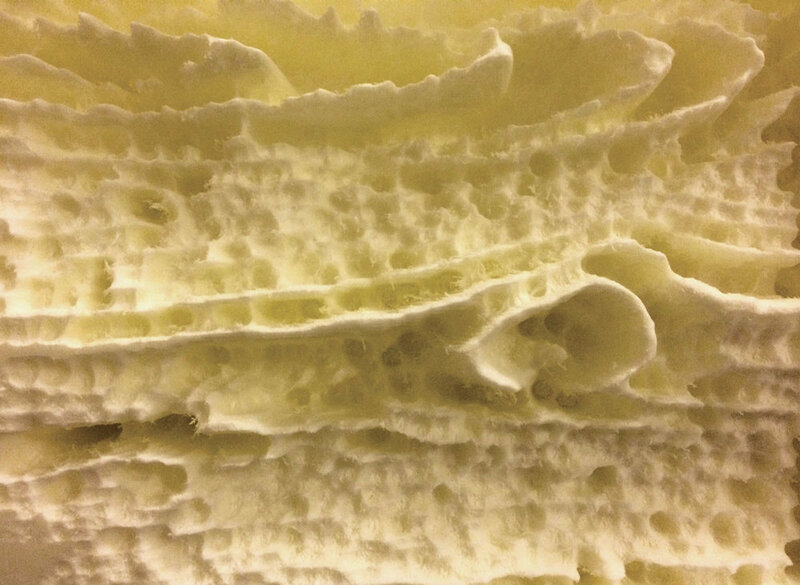 With this in mind, I explore food as vibrant, experiential, and living matter to reinforce a direct relationship with nature that can be viscerally sensed, metabolically digested, and physically touched as well as created. Because environmental commitment is broad in scope, I take on the challenge through querying spaces in cities that grow food – foodscapes – exploring their materiality, intent, and bodily potential in four modes of encounter. I journey through these four mapped trajectories of lived experiences through situated corporeal interventions into curious enactments, imaginations, weather, and species. This artistic research is grounded in the choreographic practices of butoh, Body Weather, and resilient swarming, each performing fabulations supported by a grab-bag of theory rooted in feminist corporeal studies, vibrant materialities, affective and assembled relationscapes. I intend to cultivate embodied approaches in urban-making that embrace the body as a refined medium for generating a wild ethics – poetically and politically – a poethic entanglement. Abstract: A social history of architecture dedicated to the analysis of post-war Paris, and the events leading up to the demonstrations of May 1968, reveals the emergence of a crucial rethinking of the social in architecture at the moment when a noticeable shift towards an emphasis on the implications of modern urban society can be fully observed. Amid these eruptions of social and political protest, an incident in the intellectual world played a more obscure but still important role: the 1966 publication of L’habitat pavillonnaire, a work by sociologist Henri Raymond and his interdisciplinary team. This book had an undeniable groundbreaking influence on residential architectural design and research methodology. This AiE Project has retraced the origins, aftermath, and relevance of this seminal contribution to understanding the relationship between architecture and sociolog. 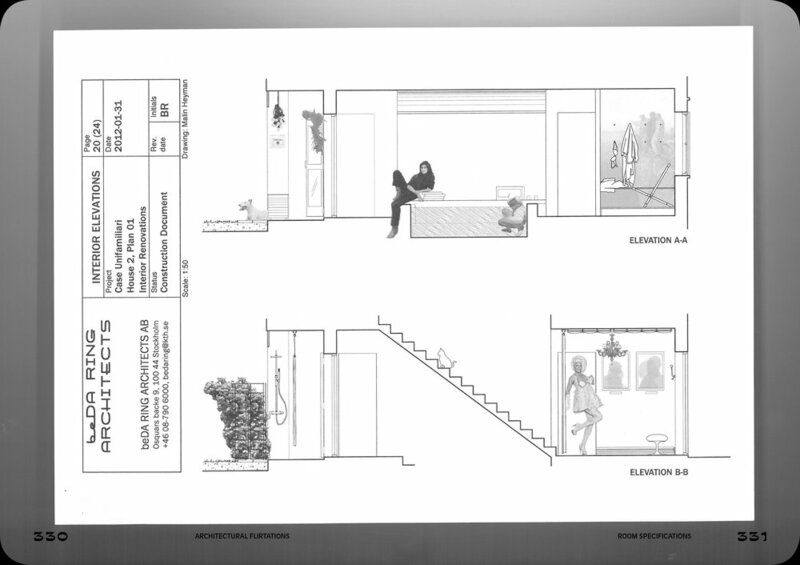 Abstract: This AiE project presents findings from a series of on-site observations during the project’s development and eight non-directed in-depth interviews with inhabitants of a Parisian housing block. An attempt was made to make residents’ voices heard by placing them in the context of a virtual metamorphosis after the implementation of an innovative renovation project applauded in the professional media. Attention focuses on the renovation process from a critical perspective of denigration and neglect, taking account of the singular situation of residents’ symbolic transgressions as ways of residing. Not exclusively limited to mere aesthetic change, this urban metamorphosis is considered an opportunity for the reconstruction of residential identities. Abstract: Research in the creative fields of architecture, design, and the arts has experienced dynamic development in recent decades. Research in these practice- and arts-based fields has become increasingly mature but has also led to discussions of how to assess research output and what constitutes doctoral proficiency in these fields. The term ‘doctorateness’ is often used when referring to the assessment of doctoral research and research competence, but in architecture and the arts, the concept of doctorateness has not yet attained a clearly articulated definition. This project has studied how to qualify and assess research in architecture, design, and the arts. The aim has been to discuss the concept of doctorateness by establishing a framework for its application to creative fields. This has resulted in several publications, including a book presenting various perspectives on research-assessment practices and relevant criteria in the practice-based and creative fields of architecture and the arts. Forskning inom de kreativa fälten arkitektur, design och konst har haft en dynamisk utveckling senaste decennierna. Forskningen inom dessa praktik- och konst-baserade fält har mognat alltmer, men har också lett till diskussioner om hur man bör bedöma forskning och vad som utgör doktorskompetens inom dessa områden. Termen ’doctorateness’ används ofta i samband med bedömning av doktorsavhandlingar och forskningskompetens, men begreppet har inom arkitektur och konst ännu inte fått en tydligt artikulerad definition. Detta projekt har studerat hur man kan kvalificera och bedöma forskning inom arkitektur, design och konst. Syftet har varit att diskutera begreppet ’doctorateness’ genom att etablera ett ramverk för hur det skulle kunna appliceras inom kreativa fält. Det har resulterat i flera publikationer, bl.a. en bok som presenterar olika perspektiv på forskningens bedömningspraktiker och relevanta kriterier inom de praktik-baserade och kreativa fälten arkitektur och konst. Functional or Modern? The Swedish Museum of Architecture and the Historiography of Swedish Twentieth-Century Architecture. Abstract: The project examines the influence of the Swedish Museum of Architecture on the historiography of twentieth-century Swedish architecture. Through case studies of exhibitions and publications, both general narratives and trajectories were identified, alongside more particular phenomena, such as the preference for more rational ‘functionalism’ over ‘modern architecture’. From a rebellious, critical counter-cultural position in its early years in the 1960s, the museum’s operations shifted around 1980 towards presenting a more consistent version of modern Swedish architecture, suggesting a historical or historicizing shift. In this, the museum was a pioneering institution taking part in the international formulation of modern architecture as well as expanding the discourse of architecture beyond the built. Ultimately, questions, positions, architects, and projects highlighted during this period still frame scholarly and more popular discourse on Swedish modern architecture. 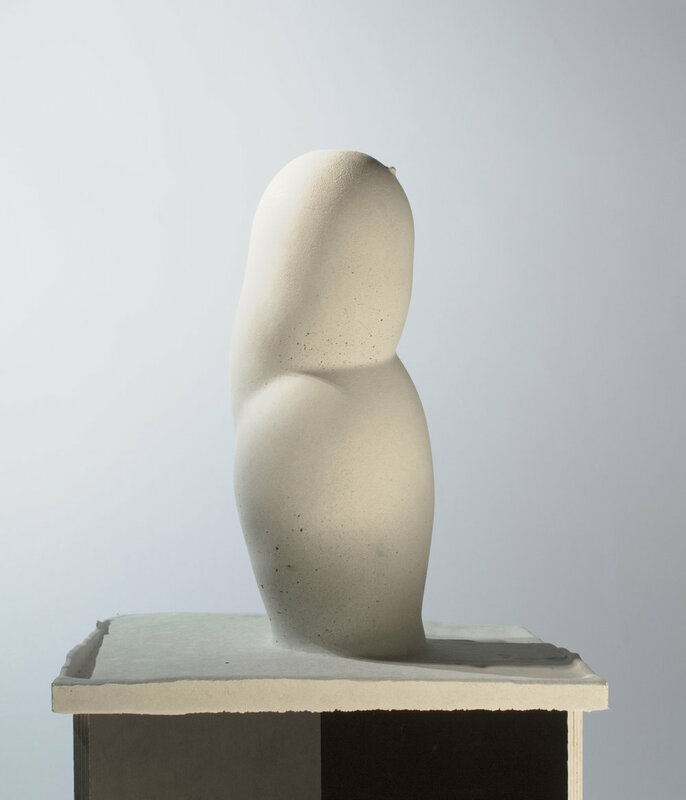 This project is supported by grants from the Swedish Arts Council and is conducted at ArkDes (2016–2018). Projektet behandlar historieskrivningen om svensk 1900-talsarkitektur så som den har förmedlats av Sveriges Arkitekturmuseum (sedan 2013 Arkitektur- och designcentrum). Genom fallstudier av utställningar och publikationer har mer övergripande frågeställningar och förhållningssätt kunnat identifieras, vid sidan om mer specifika företeelser, såsom det inarbetade bruket av ”funktionalism” framför andra tänkbara alternativ som exempelvis ”modernistisk arkitektur”. Museets verksamhet präglades under de första åren på 1960-talet av en kritiskt ifrågasättande – ibland till och med revolterande – hållning i frågor som gällde såväl samtiden som det moderna arvet. Successivt kom dock museet att framställa en mer sammanhållen version av den svenska modernismens arkitektur, en process som kring 1980 ledde till en första historieskrivning om 1900-talet. I denna sin verksamhet framstår museet som en nyskapande institution som bidrog till både den internationella definitionen av modernismens arkitektur och en utvidgning av arkitekturen som praktik och kunskapsområde bortom det faktiskt byggda. Från dagens perspektiv är det värt att notera att frågeställningar, arkitekter och byggnadsverk som under denna period lyftes fram av museet fortsätter att vara tongivande i diskussionen om svensk arkitektur, såväl i vetenskapliga sammanhang som i mer populära. Abstract: Opening in 1753, the Stockholm astronomical observatory was the first major edifice in the city dedicated to scientific activity. Commissioned by the Swedish Academy of Sciences and hosting facilities for astronomy, meteorology, and many other functions, it was a showcase for contemporary architecture, workshop for specialized crafts, display space for collections, and residence. 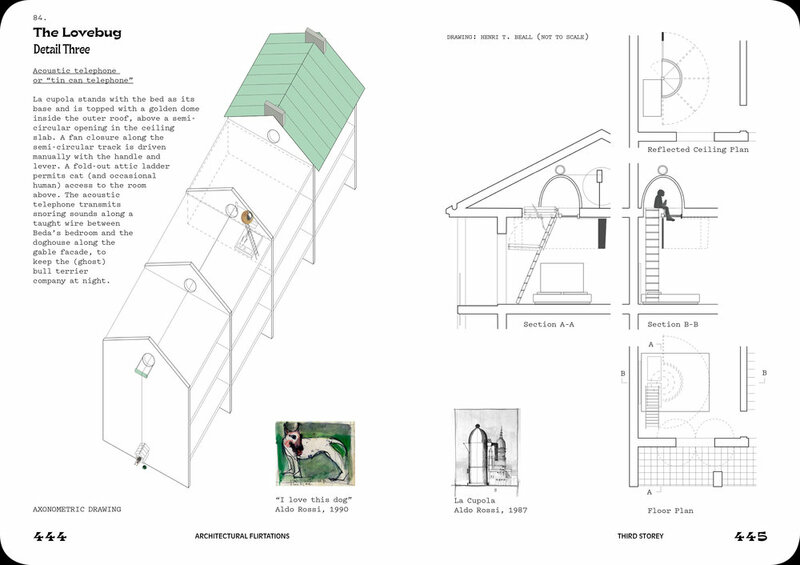 The project addresses the observatory as a discursive space and investigates the interrelatedness between science practice and the design of architectural space, assuming that the two are intimately connected or reciprocal. The relationship between arts and sciences is discussed, here exemplified by the close collaboration between the botanist Carl Linnaeus and his contemporary, Sweden’s foremost architect Carl Hårleman and by the role of the observatory in the emerging urban culture of Stockholm and its position in eighteenth-century Swedish modern culture. The project is currently (2017) supported by a fellowship at the Brussels Centre for Urban Studies (BCUS). Stockholms observatorium (1753) uppfördes av Kungliga Vetenskapsakademin och var det första betydande byggnadsverk som tillägnats en vetenskaplig verksamhet i huvudstaden. Vid sidan om att inrymma utrymmen för astronomiska och meteorologiska observationer fyllde byggnaden en rad andra funktioner: den var ett skyltfönster för samtida arkitektur; en framstående instrumentverkstad; utställningsutrymme för samlingar och en bostad. Projektet analyserar denna mångfacetterade plats i syfte att studera samspelet mellan vetenskapens praktik och arkitekturens utformning, eller ”vetenskapens rum”, enligt en hypotes om dessas inbördes beroende. Med utgångspunkt i arkitekturen undersöks relationen mellan konst och vetenskap – som i detta projekt främst kom till uttryck genom samarbetet mellan Carl von Linné och landets vid denna tid mest namnkunniga arkitekt Carl Hårleman – men även observatoriets beroende av och påverkan på framväxten av en urban kultur samt dess roll i det svenska 1700-talets väg mot modernitet. Abstract: The project Urban Cemetery Animals investigates the place of animals in the contemporary Swedish urban cemetery. The aim is to shed light on the various ways that animals are experienced and treated in the urban cemetery, and to explore how this reflects our changing attitudes to both animals and death. The project draws on the findings of a qualitative interview study carried out at the Eastern Cemetery in Malmö, and on a follow-up study of a turtle pond in Limhamn Cemetery. Two perspectives relating to animals in the cemetery were common to both studies: 1) the liminal role of companion animals and 2) aesthetics and care in relation to wild and domesticated animals. These two perspectives are used as a foundation for discussing questions relating to how urban cemetery animals can enrich the cemetery environment and increase the importance of urban cemeteries today and in the future. Projektet Urban Cemetery Animals undersöker djurens roll och plats på den nutida svenska urbana begravningsplatsen. Syftet är att belysa de olika sätt som djur upplevs på och hur de behandlas på våra urbana begravningsplatser, samt att utforska hur detta både återspeglar våra förändrade attityder till djuren och våra förändrade attityder till döden. Projektet bygger på resultat från en kvalitativ intervjustudie utförd på Östra kyrkogården i Malmö och en uppföljande studie av en sköldpaddsdamm på Limhamns kyrkogård. Två olika perspektiv relaterade till djur på begravningsplatser framkom i dessa studier: 1) sällskapsdjurens liminala roll; 2) estetik och omsorg i förhållande till vilda och tama djur. De två perspektiven används som en grund för en diskussion om hur djur på urbana begravningsplatser kan berika begravningsplatsmiljön samt öka betydelsen av urbana begravningsplatser idag och i framtiden. Limhamn Cemetery (source: photo by Birgitta Björnfors Andersson). Anna Petersson with Gunnar Sandin, Department of Architecture and the Built Environment, Lund University; Maria Liljas, Uppsala Religion and Society Research Centre, Uppsala University. Abstract: The project Room of Silence explores design students’ proposals for redesigning the interior of a room of silence at the SUS hospital in Malmö. Reflection and existential meaning-making are investigated in relation to the material culture of design, specifically in relation to four themes found among the students’ proposals: nature as common symbolic framework and salutary force; lighting creating a visual and spatial ambience for retreat; interactive objects allowing ritualized activities; and the presence and absence of religious symbols. In this project, we argue that architecture and design could more profoundly support people with varying existential viewpoints when it comes to providing religiously and culturally shared public spaces for dealing with existentially crucial moments. We also advocate an interdisciplinary research approach to healing environments, where existential meaning-making is included in the overall discussion of the design of health-care architecture. Projektet Room of Silence utforskar designstudenters förslag till en renovering av ett stilla rum på Skånes universitetssjukhus SUS i Malmö. Reflektion och existentiellt meningsskapande undersöks i relation till rummets inredningsmässiga materiella kultur, och mer specifikt i förhållande till fyra olika teman som återfinns bland elevernas förslag: naturen som gemensamt symboliskt ramverk och helande kraft; belysning som skapar en visuell och rumslig atmosfär av en plats att dra sig tillbaka på; interaktiva objekt som möjliggör ritualiserade aktiviteter; samt förekomsten och frånvaron av religiösa symboler. I detta projekt argumenterar vi för att arkitektur och design mer aktivt skulle kunna stödja människor med varierande existentiella och andliga uppfattningar när det gäller att tillhandahålla religiöst och kulturellt delade offentliga utrymmen där man hanterar existentiellt viktiga och ibland svåra stunder. Vi argumenterar också för en tvärvetenskaplig forskningsinriktning när det gäller helande miljöer, där existentiellt meningsskapande ingår i den övergripande diskussionen om hur man utformar vårdarkitekturen. The inauguration of the redesigned room of silence at SUS Malmö hospital in 2014 (source: photo by Anna Petersson, 2014). Architectural Imagineering and the Semblance of Dialogue. Abstract: By looking at the visual and material messages that have an effect on the projective phases of an architectural project—in this case the remaking of the Slussplan Square in Malmö, Sweden—I show how one-side communication in planning procedures, despite the presence of democratically established tools for dialogue, may reinforce already unfortunate lines of division, not only between those who decide and those who receive new buildings, but between those—in the city and in society—who are heard and those who are not. Continuous user-oriented architectural participation in planning processes, and studies devoted to multifaceted delegation of decision-making, may contribute to the erasure, or at least partial dissolvement, of such societal dividing lines. Genom att studera de visuella och materiella budskap som har inverkan i de visionära och projekterande delarna av ett arkitektoniskt projekt - i detta fall ombyggnaden av torget Slussplan i Malmö under åren 2002-2014 - visar jag hur kommunikation baserad enbart på den projekterande partens premisser - trots förekomsten av en formellt existerande ordning för demokratiskt grundad dialog - riskerar fördjupa olyckliga och på sikt ohållbara skiljelinjer mellan de som beslutar och de som tar emot ny byggnation. En skiljelinje gäller även mellan dem som adresseras och därför deltar i dialog, och de som inte alls nås i stadsplaneringens dialoger. Ett fortlöpande användar-orienterat deltagande i planeringsprocesser, och studier ägnade åt mångfacetterad delegation av beslutsfattande, kan bidra till utsuddning, eller åtminstone en delvis upplösning, av sådana sociala skiljelinjer. “Images of Desire: HG7 Regloss” [photoshop montage]; Rutger Sjögrim, Fredrik Torisson, and Helen Runting; 2016. Abstract: This project critically examines public architecture’s relationship with public administration in the 1960s and 1970s, considering the Swedish National Board of Public Building (KBS), the government agency responsible for providing state premises. KBS undertook extensive research and development to find new rational and efficient working methods and building systems, culminating in the 1968 launch of the ‘structure philosophy’ theory of architecture. This was drafted concurrently with government introduction of a new budget and planning system, Programme Budgeting, adapting KBS operations to a rational decision-making model for assessing results and performance. With these assessments, and with protection of freedom of choice, came increasing needs for regulation. The paradox of rationalization to promote efficiency and of organizational reforms such as decentralization and privatization is that they do not always decrease bureaucracy, instead relocating (and strengthening) public control to other bodies, resulting in more complex and inconsistent regulation – the red tape of architecture. This is a story of how rationalization, decentralization, marketization, and other economic programmes for making organization and production more efficient, affect administrative and architectural instruments and contribute to the incomprehensibility of red tape. Det här forskningsprojektet är en kritisk studie av offentlig arkitekturs relation till offentlig förvaltning under 1960- och 1970-talen med fokus på den statliga myndigheten Kungl. Byggnadsstyrelsen, KBS, som ansvarade för lokalförsörjningen åt den svenska staten. KBS arbetade med omfattande forsknings- och utvecklingsprojekt för att hitta rationella och effektiva arbetsmetoder och byggnadssystem, vilket kulminerade i lanseringen av en ny arkitekturteori 1968, den s k ”strukturfilosofin”. Idéerna var utvecklade samtidigt som regeringen introducerade ett nytt budget- och planeringssystem kallat Programbudgetering, som skulle göra att myndigheter bättre anpassade sin verksamhet till rationellt beslutsfattande och resultatstyrning. Men utvärdering av prestanda och resultat, och skyddandet av friheten att välja medförde ett utökat behov av regleringar. Detta är den oväntade egenheten av rationaliseringsprogram och reformer såsom decentralisering och privatisering, och hur dessa inte alltid minskar byråkratin utan istället omfördelar (och stärker) offentlig kontroll till andra enheter, vilket medför att regleringar framstår som mer komplexa och inkonsekventa, eller som arkitekturens byråkrati. Abstract: The Master Plan for Duamdong was an art project forming part of my research, Performativity and Urban Action, lasting about a year, produced for the Gwangju Biennial 2016. 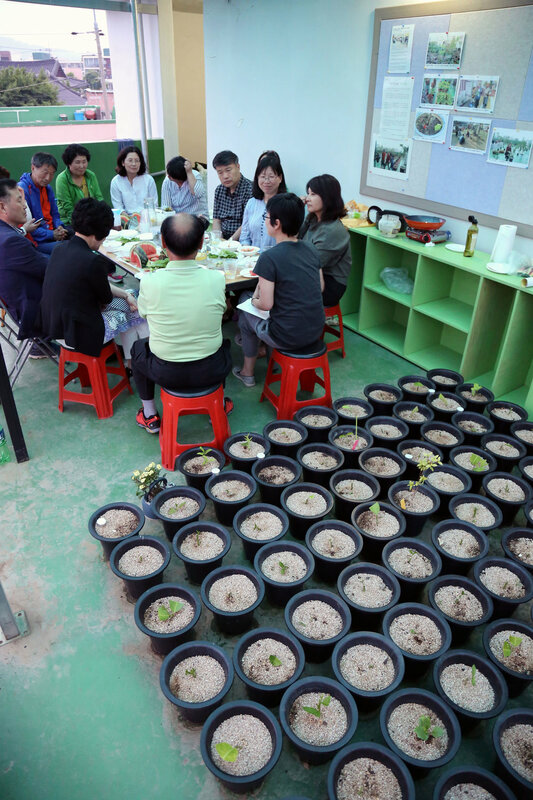 The active part of the project started in spring 2016 and ran until September 2016 in cooperation with the Korean artist Dari Bae and the Nuribom Community Centre in Duamdong on the outskirts of Gwangju, South Korea. The project was initiated through public talks, urban actions, and several workshops with local inhabitants. The aim was to create a discursive platform for local inhabitants to build awareness of the place as it is today and to address issues related to the neighbourhood in the near and possible future. I did not focus on the contested green space but on the contested neighbourhood that is trying to form its identity by engaging the local population in creating roof gardens and community greens. See in the exhibition: Video - film: 20:44 min, HDV - projection. Photos: Duamdong table game; table with benches 2.00 x 2.00 m, birch multiplex, table top printed with the Duamdong site plan, game instructions, plexi-glass box with flags and plexi-glass buttons with symbol of street elements, info display, and Program of special events. Abstract: The Stockholm Exhibition 1930 and the manifesto Acceptera mark the breakthrough of Modern Architecture in Sweden and the Nordic countries. The Stockholm Exhibition was a phenomenal success and attracted over four million visitors. Despite the enormous success, the architecture of the Stockholm Exhibition has been studied surprisingly little and its buildings have been poorly documented. In order to reconstruct the architecture and rediscover its qualities, this research project reconstructed the pavilions of the Stockholm Exhibition in forms of models. Through the construction of the models of the pavilions, done by master students at Chalmers in 2014 and 2015, a series of discoveries were made, testifying to an architectural quality that cannot be discerned from pictures and drawings. The models and the findings of the project have been documented in several publications, primarily in a book with essays and photographs of both the original exhibition and the models reconstructing its architecture. Stockholmsutställningen 1930 och manifestot Acceptera markerar genombrottet för modernismen i Sverige och Norden. Den blev en fenomenal framgång och lockade över fyra miljoner besökare. Trots den enorma succén har Stockholmsutställningens arkitektur studerats förvånansvärt lite i detalj och dess byggnader är dåligt dokumenterade. För att rekonstruera arkitekturen och återupptäcka dess kvaliteter har detta forskningsprojekt återbyggt Stockholmsutställningens paviljonger i form av modeller. Genom byggandet av modellerna, gjort av masterstudenter vid Chalmers 2014 och 2015, gjordes en serie upptäckter som vittnar om arkitektoniska kvaliteter som inte kan läsas ut från bilder eller ritningar. Modellerna och projektets resultat har dokumenterats i flera publikationer, framförallt i en bok med essäer och fotografier av både den ursprungliga utställningen och modellerna som rekonstruerar dess arkitektur. Utopia: where could it go wrong? Abstract: Utopology explores the utopian concept itself. 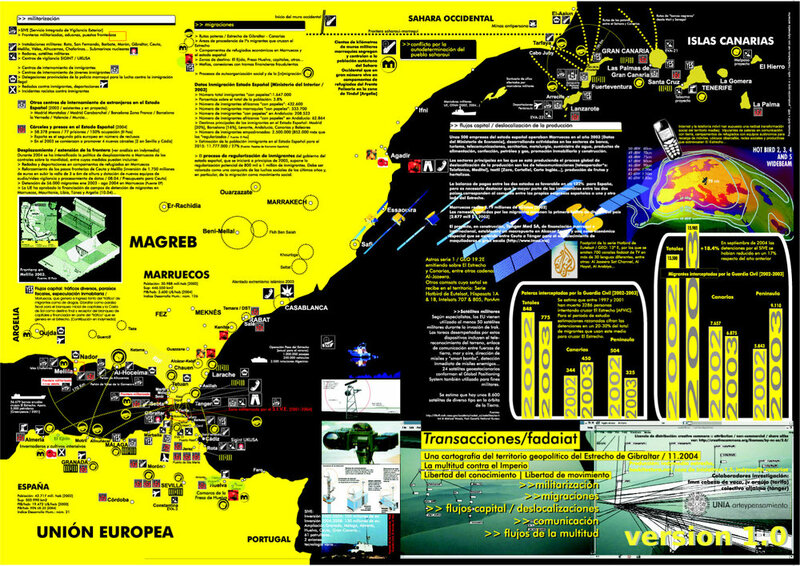 It is simultaneously the topology of nowhere, u-topology, and the field of study of the utopian itself, utopo-logy. Utopology’s first aim is to challenge the colloquial meaning of utopia, which has become petrified as an image (literary or otherwise) of a perfect societal organization. To do so, the first issue concerns boundaries. Discussions of the utopian concept invariably end up treating the qualifications for inclusion in or exclusion from the category of the utopian. Utopia, as a category, makes the underlying concept a product of the delineation. As the utopian concept resurfaces in the discourse of architecture, it becomes pertinent to ask: What does a utopian concept detached from the dreams of progress entail and, more importantly, what does it do? Utopologi utforskar själva det utopiska konceptet. På så vis är Utopologin samtidigt ingen-plats typologi, utopologi, och samtidigt ett forskningsfält som utforskar det utopiska, utopo-logi. 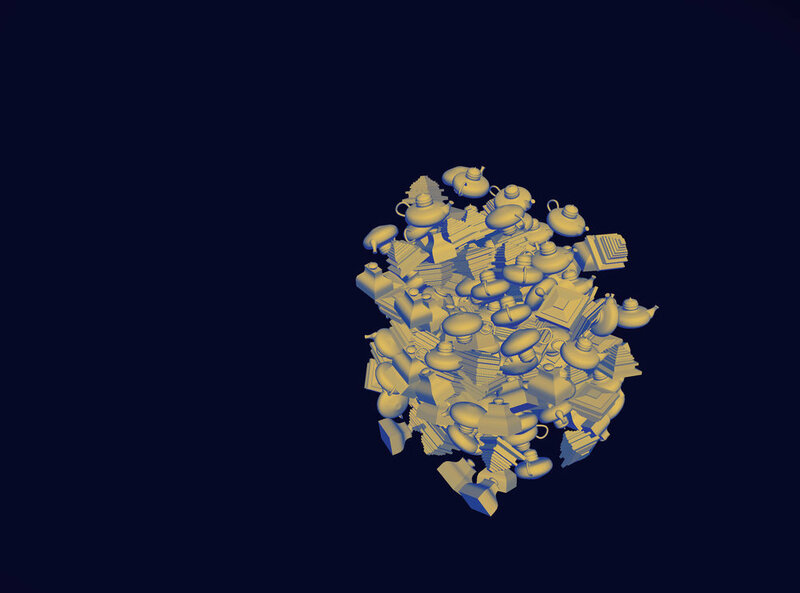 Utopologins första uppgift är att utmana den konventionella tolkningen av utopin, en tolkning som stelnat i betydelsen: en bild (litterär eller annan) av en perfekt samhällelig organisation. För att kunna utmana denna konvention är första målet att göra upp med utopins gränsdragning. Diskussioner om det utopiska hamnar i slutändan alltid kring de kvalifikationer som antingen inkluderar eller exkluderar någonting från det utopiska, utopia förstås här som en kategori. I denna egenskap gör kategorin det underliggande begreppet till en produkt av gränsdragningen. När nu det utopiska konceptet åter kan skönjas i arkitekturdiskursen blir det därför relevant att fråga oss: vad innebär ett utopiskt koncept frikopplatfrån framstegstanken, och, av ännu större betydelse, vad gör det? Abstract: The introduction of additive manufacturing technology in concrete construction challenges certain principles that currently condition the use of concrete in the built environment, such as the dependence on formwork and the tendency for the standardization and simplification of architectural elements. The operation of placing concrete by deposition signifies a fundamental departure from conventional casting techniques: the formalization of concrete flow is no longer determined by the restraint provided by a static formwork, but by the self-supporting capacity of the material itself, coupled with the movement involved in the deposition process. This change represents not only a significant technological shift, but also a potential conceptual leap towards understanding concrete as active matter, and a new tectonic approach in concrete practice. This research project investigates the controlled deposition of concrete at the intersection between material science and architecture, in search of newfound correspondences between material behaviour and the choreography of flow.